Don’t be a starving speaker. We know you’ve got talent. But you also need the right business model. Here are five ways to diversify your profit streams and increase your revenue as a paid speaker. I’ve seen it a million times. I meet someone who has it all: years of training and experience in speaking, a story that stuns, and looks to kill. She captivates an audience within the first 15 seconds and leaves them gripping the edge of their seats all the way until the end. But at the end of the day, she goes back to her tiny apartment, searches her empty fridge and starts over again the next day. She’s a starving speaker with all the talent in the world but no money in her pocket. Why is she still struggling? Speaking is one of those careers that seems like a happy accident when it goes well, or a crazy dream when it doesn’t. People who make money off of speaking seem to “fall into” it, at least from an outsider’s perspective. To make matters more confusing, there’s no set career pathway to speaking, such as a degree, trade school or qualifying exam. You don’t finish school and then suddenly get your “license to speak.” It’s not a clear-cut or even traditional career choice, and most people follow a winding road to get there. You don’t need to figure out things as you go along. You can have a plan, a roadmap, like more traditional career choices. It just takes a little guidance, hard work, and creativity. But most importantly, you need a profitable business model to make a living out of what you love. The right business model will be different for every speaker. While some of you may focus on events as a revenue source, others may want to develop an online curriculum and go the coaching/consulting route. Still, others may want to write a book and monetize their following. In speaking, it helps to create additional revenue sources — beyond getting paid for gigs. What you’re really doing is developing a fan base or an audience of people who believe in what you have to say. Once you do that, you can then build supplementary revenue sources that match your strengths and lifestyle. Whatever path is right for you, there needs to be an intentional revenue stream that compliments your visibility as a speaker; otherwise, you’re just missing opportunity and revenue. 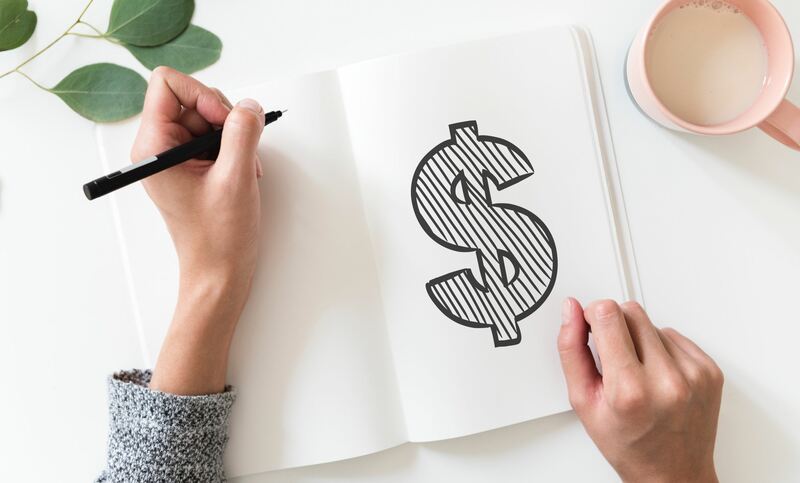 To make sure you’re on your way to becoming a healthy, happy speaker, here are five ways to diversify your profit streams and increase your revenue. One of the best things you can do as a businessperson is learning how to serve your audience on a deep and intuitive level. What do they want? How are they responding to each piece of content you release? What are they buying? How are they enjoying your products/services? What do they love about you and your business? What are they still craving? Figure out what they want and how they want to receive it. Deliver it conveniently, and always provide more value than you think they expect. Then provide the analytics, data or reporting to prove your results. There are never enough reminders that things are on track. That’s how you serve an audience and turn them into a fan base. Once you figure out what they want, it’s time to serve up a feast of content: social media inspiration, vlogs, blogs, podcasts, webinars, masterminds, events, retreats, and whatever else you can dream up! Whatever content you choose, use it to start a real conversation. That means not posting just to “get something posted.” It means providing value always. Your content needs to affect people in order for them to pay attention to it, and the best way to do that is, surprisingly, by just being you. Share your experiences. Tell your stories. Be honest and vulnerable. Let other people learn through your experiences — and make sure you’re always learning from them, too. Engage with people as often as you can. One-sided conversations are the worst kinds to have, so make sure you’re watching for feedback and actually responding to it. Once you’ve figured out what people want and what you have to say about it, it’s time to package that value up in a nice, pretty bow, so to speak. Your curriculum needs to be professionally packaged, high-quality and convenient if you want to develop a fan base that enjoys consuming your content. There’s work involved here. You need to provide an actionable or tangible takeaway with each lesson or event. Provide information people can walk away with and implement immediately. Always aim to provide what feels like a training experience or workshop — go beyond the conversation. That’s what they’re paying for, something more than what they can get by just following you. Once you’ve developed a curriculum worth paying for, you need to establish a reliable digital delivery system — and it should be automated if possible. People want to feel like they got something out of their experience with you, and giving them a downloadable gift to walk away with accomplishes that. With that said, don’t promise something and then make it a hassle for people to access. People get very frustrated very quickly when you don’t deliver what you said you would. So make sure your digital delivery system is streamlined and preferably automatic. You have to make it easy on your audience. One of the biggest mistakes I see speakers make is leaving their audience hungry for more — with nothing to serve! Think about it. You wouldn’t invite people over for a dinner party, and wait until it’s already started to see what you have in the pantry, right? No! Then don’t create captivating, life-changing curriculum, and offer limited options to work with you. This is where having multiple revenue streams becomes important again. If you like teaching people, then one-on-one and group coaching might work for you, along with hosting events and seminars. That gives people three ways to work with you: at an event, in a small group setting, or one-on-one. Charge accordingly. And that’s just a good start. © MELISSA HULL ALL RIGHTS RESERVED | CUSTOMIZED BY THE DREAM FACTORY CO.